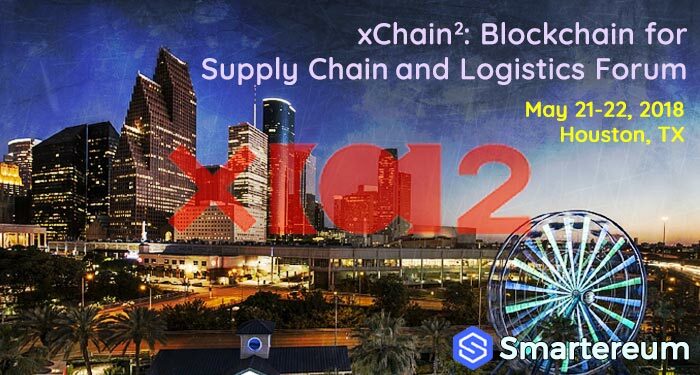 xChain2: Blockchain for Supply Chain and Logistics Forum: On May 21-22, 2018, Houston, Texas will host the top brass in Supply Chain, Logistics and Blockchain in a very timely and strategic conference at the xChain2: Blockchain for Supply Chain and Logistics Forum. Blockchain technology, and distributed ledger technologies (DLTs) in general, are changing the ways several industries operate. This change is happening fast, and even faster in the areas of fintech, healthcare and supply chain. 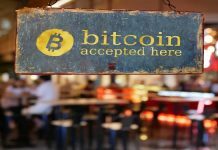 The scope of blockchain disruption is far-reaching. The EU’s Commissioner for Digital Economy and Society, Mariya Gabriel recently said that “in the future, all public services will use [Blockchain] technology.” If the era blockchain technology—which is constantly likened to that of the internet—is anything like it, then all industries are in for a huge transformation. We have already witnessed significant progress in the development and utilization of distributed ledgers in various areas of supply chain and logistics operations. Still in its nascent stage, blockchain is already changing the way we see supply chain and one can only imagine how much it will transform the sector given its potential. Since supply chain and logistics cut across every other industry, it is expected that players in this sector pioneer the blockchain revolution. Organizations and individuals in this sector must therefore take a proactive approach to blockchain innovations. The logical first step is to get blockchain education that prepares decision makers for both individual and collaborative efforts in blockchain applications. xChain2: Blockchain for Supply Chain and Logistics Forum affords the opportunity to achieve this. The forum aims to address key areas in the development and adoption of blockchain solutions in the supply chain industry. The motivation is to bring the industry together to help build further collaboration with major stakeholders and to help the advancement of Blockchain Technology. It will feature discussions, lectures and practical sessions all geared towards a better understanding of the emerging technology; preparing participants to effectively implement blockchain innovations in their respective organization and localities. This forum is a product of academic insight and top industry expertise. Dr. Larry Shi and Dr. Omprakash Gnawali, both Associate Professors of Computer Science at the University of Houston put together this event in partnership with Mr. Bill McBeath, Advisor (Chief Research Officer, ChainLink Research), Mr. Filip Vandenbussche, (Advisor North American Rep., Port of Antwerp) and institutional input from University of Houston Department of Computer Science, and Blockchain Technology Initiatives. Addressing the Problems associated with Blockchain – Why should one attend the Logistics Blockchain Conference? There is a lot of hype around blockchain technology, but only a few players have effectively adopted its applications; and these few are at initial stages in pilot projects. This poses a major threat to a uniform development in the industry since many decision makers do not fully understand the technology, its benefits, and the requirements for an action plan. In many instances, supply chain professionals who are reviewing blockchain technology, are not fully certain of what it can offer, where to start, who can help them or understand exactly what their requirements are, when planning for the implementation of these technologies. The Forum seeks to bridge this ‘knowledge gap’ and bring participants to a point where they can make informed decisions regarding the subject matter. Secondly, the event will create a uniform theme which will direct blockchain innovation internally and externally. Informing Decision Makers – Who should attend the Blockchain Forum? The Blockchain for Supply Chain and Logistics Forum is designed for decision makers in businesses and other organizations. This includes senior managers for supply chains, VPs, Directors and C-level executives (CIOs, CFOs, COOs, CEOs), as well as anyone involved in procurement, leasing, finance, IT, global sales and strategy. Supply chains are often very complex and tend to have many stakeholders managing them, internally as well as externally. The Forum will attempt to educate the market about blockchain technologies, while ensuring that all decision makers are speaking the same language. As expected, the xChain2: Blockchain for Supply Chain and Logistics Forum will provide very intensive/extensive education on key areas of supply chain management and logistics. The forum begins with education on the broader subjects of Digitalization and Blockchain; participants will be exposed to the latest practices in integrated ecosystems, the future of ports and how blockchain fits at the center of it. 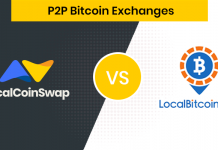 Participants will also be equipped to take advantage of industry-wide collaborations which, given the sheer nature of the blockchain disruption will be a prevalent feature in coming years. 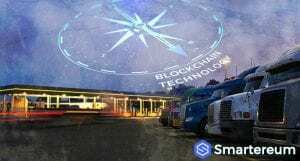 The Forum will also explore more specific and specialized areas of supply chain and logistics in the light of blockchain developments, including trucking, risk management, data analytics and cross-border trades. Definitely a great avenue to sample new thoughts, academic insights and better understand the economic impacts of distributed-ledger technologies in the industry—an understanding that will inform the best blockchain strategy. A complete agenda for the conference can be found here. To lead discussions and give instructions in these areas are notable figures in the industry from across the country and around the world. Speakers include academics, administrators and accomplished professionals including top executives from OpenPort, InsurEco, OriginTrail, Filament, and the ports of Houston and Antwerp. A complete profile of the speakers can be found here. For more information, and to register for event, visit the website: blockchainsupplychain.io.